The Eagles are an American rock band formed in Los Angeles, California in 1971 by Glenn Frey, Don Henley, Bernie Leadon and Randy Meisner. With five #1 singles, six Grammys, and six #1 albums, the Eagles were one of the most successful recording artists of the 1970s. They also have the bestselling album in the U.S. with “Their Greatest Hits (1971–1975),” which sold more than 29 million copies. They have sold over 120 million albums worldwide and 100 million in the U.S. alone. They are the fifth highest selling music act in U.S. history and the highest selling American band in U.S. history. No other American band sold more than the Eagles during the 1970s. The group's debut album “Eagles” was recorded in England in February 1972 with producer Glyn Johns and released on June 17, 1972. “Eagles” was a breakthrough success, yielding three Top 40 singles. The first single and lead track, "Take It Easy", was a song written by Glenn Frey and his neighbor and fellow country-folk rocker Jackson Browne. The song reached #12 on the Billboard Hot 100 and propelled the Eagles to stardom. The single was followed by the bluesy "Witchy Woman" and the soft country rock ballad "Peaceful Easy Feeling", charting at #9 and #22 respectively. Their second album, “Desperado,” was recorded at Island Studios in London, United Kingdom and released in 1973. It's a concept album, based on the Dalton gang and the Old West. It included one of the group's most popular songs the title track "Desperado". The album was less successful than the first, reaching only #41 on the US pop album charts, and yielding only 2 singles, "Tequila Sunrise", which reached #61 on the Billboard charts, and "Outlaw Man", which peaked at #59. “On the Border” was released in 1974. The album reached #17 on the charts and sold two million copies. The album also released three singles, "Already Gone", "James Dean", and "Best Of My Love". The singles reached #32, #77, and #1 respectively. "Best Of My Love" became the band's first of five chart toppers. The Eagles released their fourth studio album, “One of These Nights” in 1975. The album would prove to be a breakthrough album for the band, making them international superstars. It would also begin a string of four consecutive #1 albums. It also further displayed the dominant songwriting partnership of Don Henley and Glenn Frey. The first single from the album was the title track, which became the second straight single for the band to top the charts. The second single would be "Lyin' Eyes", the single reached #2 on the charts and won the band its first Grammy for "Best Pop Performance by a duo or group with vocal". The third and final single "Take It to the Limit," reached #4 on the charts, and was the Eagles' first single to be certified gold. In early 1976, the band released their first compilation album, “Their Greatest Hits, 1971-1975.” The album would go on to become the highest selling album in U.S. history with over 29 million copies sold in the U.S. alone and over 42 million copies worldwide. It also cemented their status as the most successful American band of the decade. “Hotel California” was released in 1976. The album's first single was "New Kid in Town," which became the Eagles' third #1 single. The second single was the title track, which also topped the charts in February 1977. "Life in the Fast Lane" reached #11 on the charts. 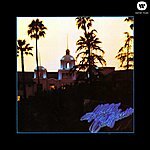 “Hotel California” is their best-selling studio album, with over 16 millioncopies sold to date in the U.S. The album would also win the band two more Grammys for "Record of the year" (“Hotel California”) and "Best arrangement for voices" (“New Kid in Town”). “Hotel California” topped the charts and was nominated for Album of the Year in the 1977 Grammys. “The Long Run” was released in 1979 topping the charts and selling seven million copies. In addition, it produced three Top 10 singles. "Heartache Tonight" became their last single to top the charts on November 10, 1979. The title track and "I Can't Tell You Why” both reached #8 respectively. The band also won their fourth Grammy for "Heartache Tonight". 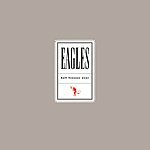 The Eagles broke up in July 1980, but reunited in 1994 for “Hell Freezes Over,” a mix of live and new studio tracks. It debuted at #1 on the Billboard album chart, and included four new studio songs.